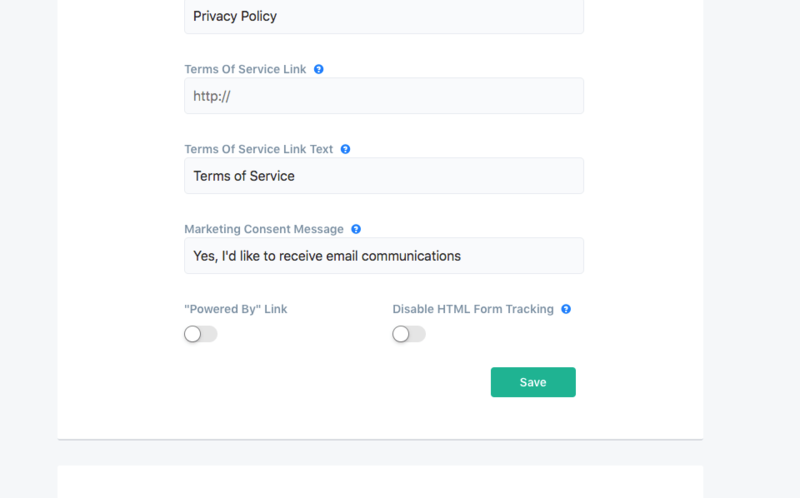 ConvertFlow automatically identifies website visitors when they submit their email address in ANY form on your website, including ConvertFlow forms. You can also personalize your website by targeting calls-to-action to identified contacts based on who they are, what they've done and the subscriber data stored in your email marketing software. This means you can target people based on their tags, lists etc. ConvertFlow will identify a contact if you include a person's email address in the URL with any of these URL parameters. If you're using ConvertFlow on an app, you can identify users by accessing ConvertFlow's client-side API. The option "override" can be set to false if you want to ConvertFlow to identify someone if the visitor isn't already tracked as a contact. In certain cases, you may want to prevent ConvertFlow from automatically tracking and syncing contacts based on the custom HTML form submissions on your website (separate of ConvertFlow forms). 1. Disable custom HTML form tracking entirely by heading to Settings > Website, and toggling "Disable HTML Form Tracking". 2. The other option is to use site-wide conditions to exclude ConvertFlow CTA campaigns and automatic HTML form tracking from certain pages of your site. Option #1 is ideal if your website relies heavily on custom HTML forms that you don't want ConvertFlow automatically tracking. Option #2 is ideal if you have a specific page of your website or application that you want ConvertFlow to exclude from HTML form tracking.